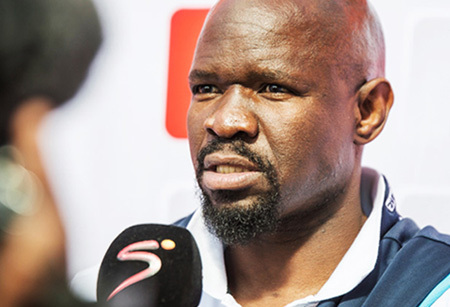 Maritzburg United coach Steve Komphela will be in an upbeat mood as he leads his team into battle against his former club, Free State Stars, on Saturday. The Team of Choice have made a more than satisfactory start to the season, taking seven points from their opening four matches, and scoring six goals in the process and conceding just twice. Komphela has also been able to rotate his squad considerably, blending inexperience and youth with a couple of more seasoned campaigners, but still getting the side to carry out his game-plan to good effect. “Three goals, three points, what more can you ask for,” he said after the midweek win over Chippa United. “And I’m sure if there were 15 000 people here, come the next match, its going to be 15 001. The former Kaizer Chiefs and Bafana Bafana central defender is now looking forward to the challenge that a trip to Bethlehem brings, Komphela bracing himself for what he expects to be a tough game against his former employers Free State Stars. “One thing that we must acknowledge is that the PSL has become difficult, highly competitive and I must complement my colleagues in the PSL as well. Tactically people are coming up with a plan that us clear and its putting you under pressure and stress. Coach Steve Komphela will be in an upbeat mood as he leads his team into battle against his former club, Free State Stars, on Saturday.